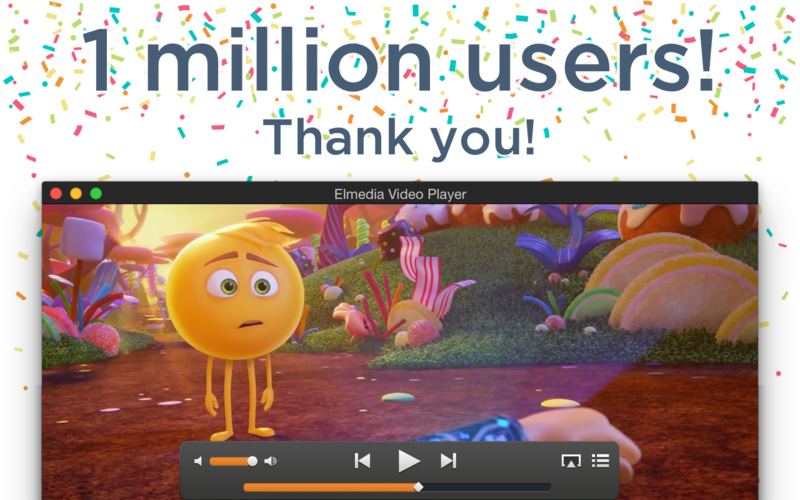 Elmedia Player hits one million user mark - Thank you! [prMac.com] Frankfurt, Germany - Eltima Software announced today that Elmedia Player, a popular versatile video and audio player, has just hit a major milestone of 1 million users. Elmedia Player was launched 12 years ago, which is hard to believe sometimes - it still feels like yesterday! And now Eltima Software is celebrating a major milestone for this favorite app of ours. This means Elmedia is a good app not only for us, but for other movie enthusiasts all over the world. Since its earliest prototype, Elmedia project was driven by a simple idea of creating a comprehensive and friendly solution that puts on media first, without a lot of fiddly features most of the people will never even use. Thanks to active customer requests and a heavy competition Elmedia Player evolved into a mighty video player with unique options making a strong competitor to the best-known players. 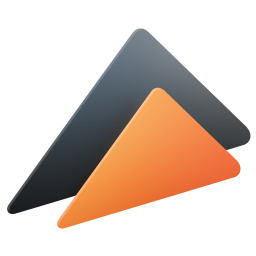 Today, Elmedia Player is in the leading position in Mac App Store thanks to its amazing users. Elmedia Player offers a wonderful visual experience thanks to its flexible video playback settings: easily adjustable speed, brightness, contrast, and saturation, deinterlacing option. Also one can put any part of a video or audio file in a continuous loop. An impressive HD experience is guaranteed with the hardware accelerated decoding. A couple of convenient audio playback options include: multiple audio tracks support, perfect sync with the video in case there is some mismatch, 10-band equalizer, virtual surround and speakers emulation, and audio output device selection. Such great features as making screenshots of any movie moment or making a series of screenshots of the played movie at an adjustable interval, streaming and receiving AirPlay content, support of subtitles and external sound tracks as well as the playlist repeat and shuffle options, make Elmedia an essential partner for avid video lovers. Well, and if you use Elmedia as an audio player, it can satisfy your particular requirements as well. Eltima Software is a global software Development Company, specializing primarily in serial communication, mobile and flash software for Mac OS and Windows. Eltima Software delivers top-notch solutions having a friendly team of 40 professionals. Copyright (C) 2017 Eltima Software. All Rights Reserved. Apple, the Apple logo and Macintosh are registered trademarks of Apple Inc. in the U.S. and/or other countries.